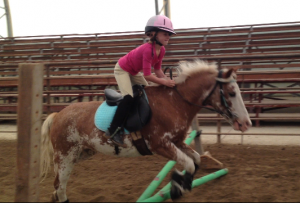 2014 was the year of change and challenges for our Pony Club. Our long time DC Daphne Anderson stepped down as her children’s passions and talents led them to actively pursue dance and wrestling. We will miss the Anderson family immensely. We had several tremendous losses of our equine partners. Maren lost her pony, Bear, Lisa her very talented gelding Star and Isabelle’s second string mare Emma. Maren’s replacement mount proved unsuitable with a bad penchant for bucking. She was left catching rides where she could. 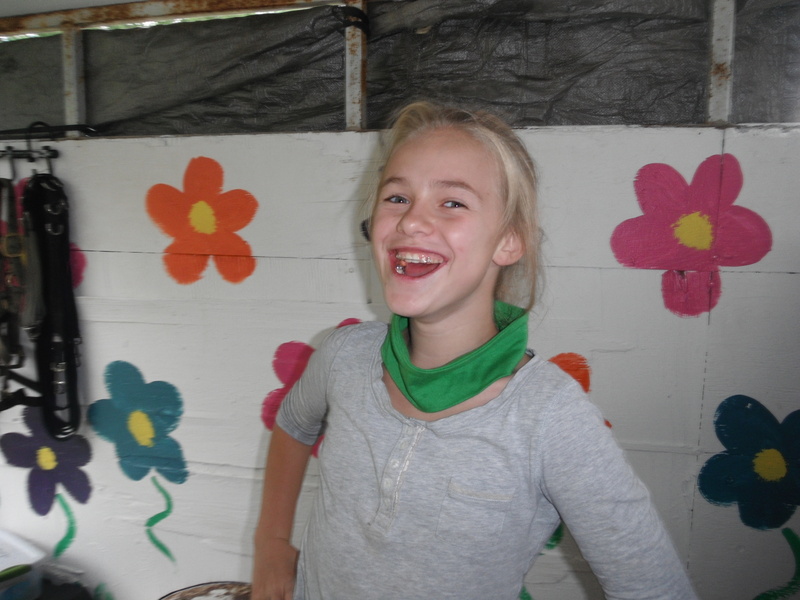 Through it all Maren remained bright, willing and cheerful and full of Pony Club spirit. Lisa was able to persuade her dad to share his cow horse Bo who proved to be a very athletic and willing partner. Who knew a ranch horse would look so good in an English saddle? 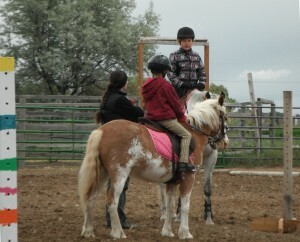 Isabelle brought out her third choice horse Walter (first choice Gala was lame) and we were surprised by his abilities. One of our club members had the terrible misfortune of breaking her leg two days into summer. She missed the entire season. We are thrilled to report she now back and in saddle and doing fantastically! In spite of many challenges we had a very productive and successful season. Three of our riders tested for their certificates and passed. Tulla, a new member this year took her D-1, Sheridan her D-1 and D-2, and Isabelle, who spent months practicing and studying, took her C-2 Horse Management Certificate. She would like to report that it was tough and even though she practiced her shipping bandages the 150 recommended times she’d recommend practicing another 100 times! One of our youngest members, Claire, started the season with little experience in the saddle. 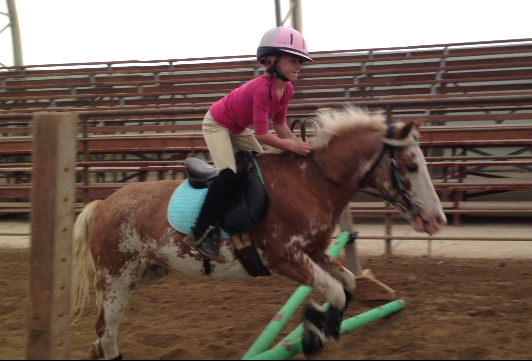 She began in our lunge lesson program. She firmly stated that she only wanted to walk, before long she was trotting; however, Claire was certain that she’d never canter.The words barely left her lips before she’d was happily loping along. The end of the season found Claire independently cantering her pony over cross-rails and having the time of her life. Good job Claire! Stony Yakovac, our instruction coordinator, adopted a new program emphasizing dressage. Our members designed their own dressage tests incorporating the movements required to pass their next Certificate. 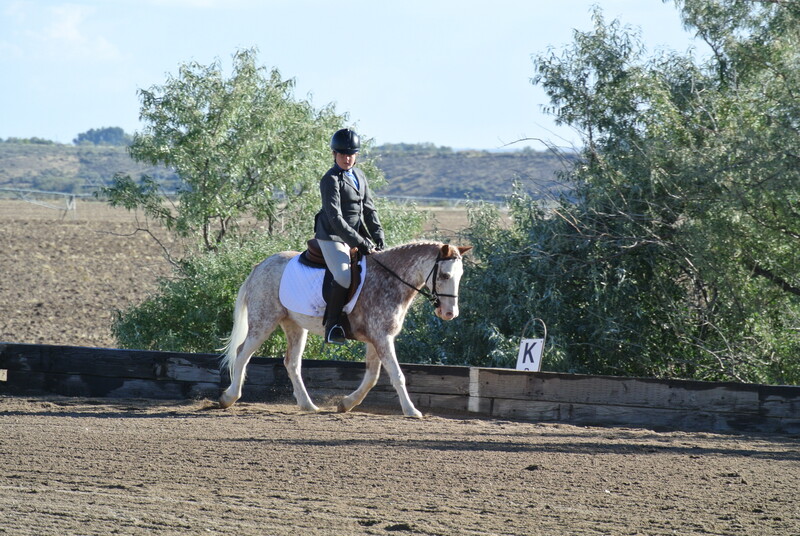 They also designed a Pas de Duex –a dressage test involving two riders– which was fun and challenging. Additionally, Stony drilled the members on their dressage tests for Rally. 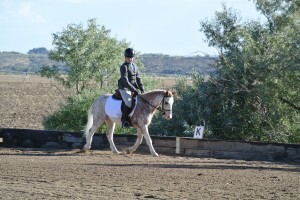 Dressage scores improved dramatically and both horse and rider benefited. Rallies were great fun again this year.Our club,save one member, did not make it to Quiz. Thank you Ivy Jean for being the lone representative at Quiz! MegaRally conflicted with some of our rider’s schedules but those that attended had a great time! 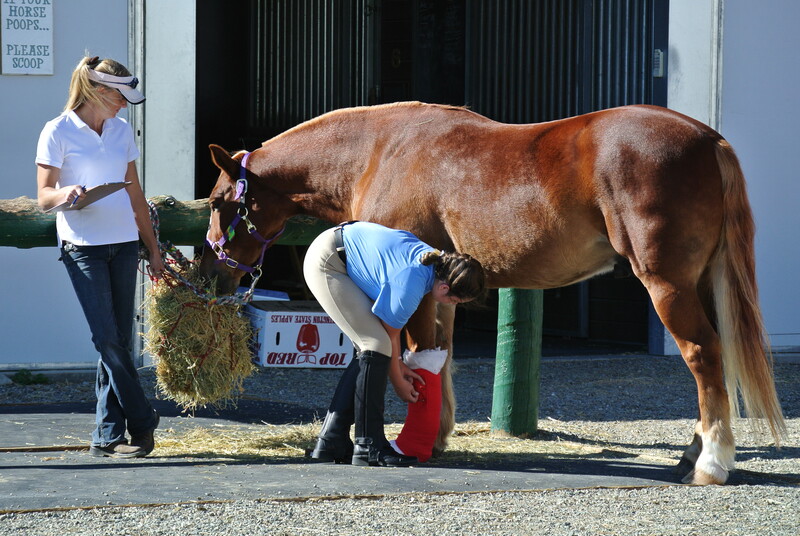 Maren and Lil’ Red brought home blue ribbons for both Show Jumping and the jumping phase at Tetrathlon. Isabelle and Walter placed second in Show Jumping, first for the jumping phase at Tetrathlon, and third overall for Tet. Our kids had a blast at D-rally and camp. 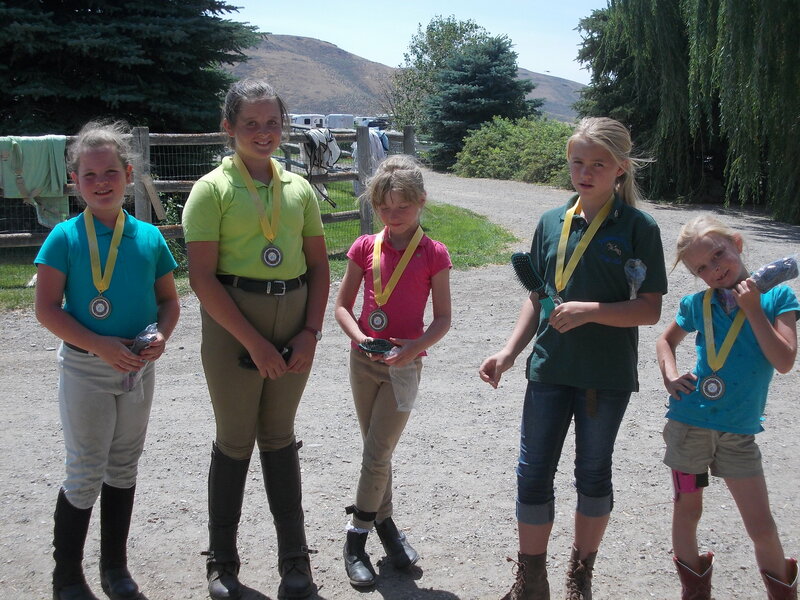 It was well worth the learning experience and they placed third in horse management. One of our riders, Lisa, suffered an injury just days before rally and wasn’t able to ride but, in true Pony Club fashion, she participated as a stable manager for a scramble team. We are already planning and looking ahead to the next rally season.